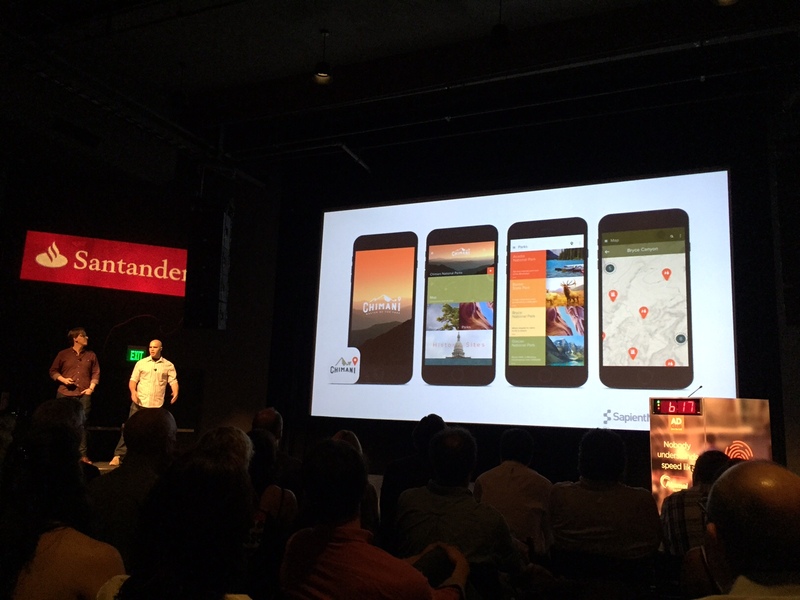 Chimani, the leading developer of mobile app destination guides for National Parks, was selected as a winning startup in The Boston Ad Club’s 2nd annual Brandathon on Aug. 6 at the Revere Hotel in Boston, Mass. The Brandathon is a competition that pairs 12 promising startups with 12 of Boston’s top ad agencies, who invested more than $100K worth of resources to create a new brand campaign specific to each company. Chimani was paired with SapientNitro, who presented their brand campaign during a live pitch presentation to 12 of the region’s top creative and business industry leaders during Thursday’s event. After being awarded third place, Chimani was granted full, unrestricted rights to use the campaign created for them. The judging panel was made up of 14 industry experts including Marty St. George, EVP, commercial & airline planning for JetBlue; Danielle Duplin, VP of Fidelity Investments, Paul Schauder, VP of brand from LogMeIn; and David Chang, former COO of Paypal Media Network. Chimani was selected from more than 80 original startups after submitting a video pitch and bio to the Brandathon competition, which began on July 6. On July 22, voters whittled the field of startups down to 25. The agencies were then asked to make a wish list of startups that they would like to work with — only the top 12 made the cut. After being chosen as one of the final 12, Chimani was paired with the international ad agency SapientNitro, who has worked with brands such as Audi, Hugo Boss, Target, and Unilever. The SapientNitro team worked for 72 hours straight to create a brand campaign specifically for Chimani.